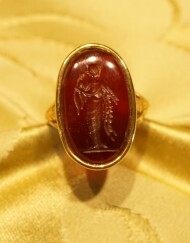 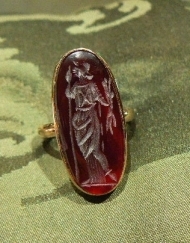 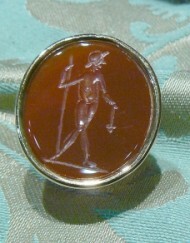 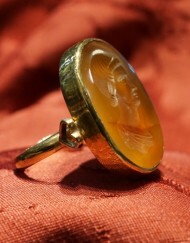 Intaglio Chevalier ring in 18 kt yellow gold and bezel in 24 kt gold with Jasper stone engraved mm 16 x 12 mm period 1900 about depicting an angel with a large cross, the subject is of ‘Roman greek art – To request informations please click on “submit a request for this product” or send an email to info@webjewels.it all these jewels are exclusive products from our workshop in Venice. 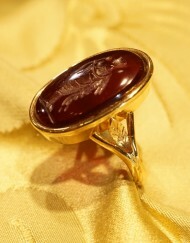 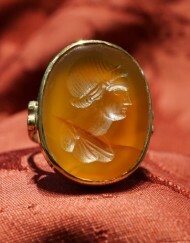 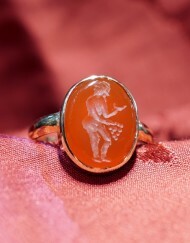 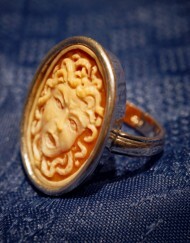 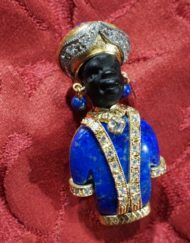 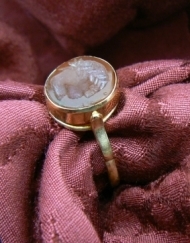 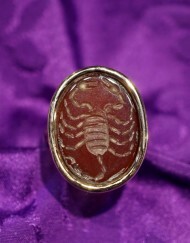 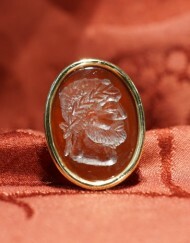 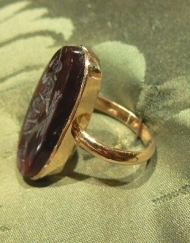 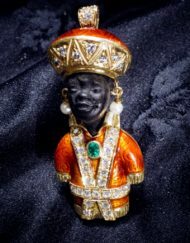 Categories: Collection Intaglio glyptic, Rings with carved stones. 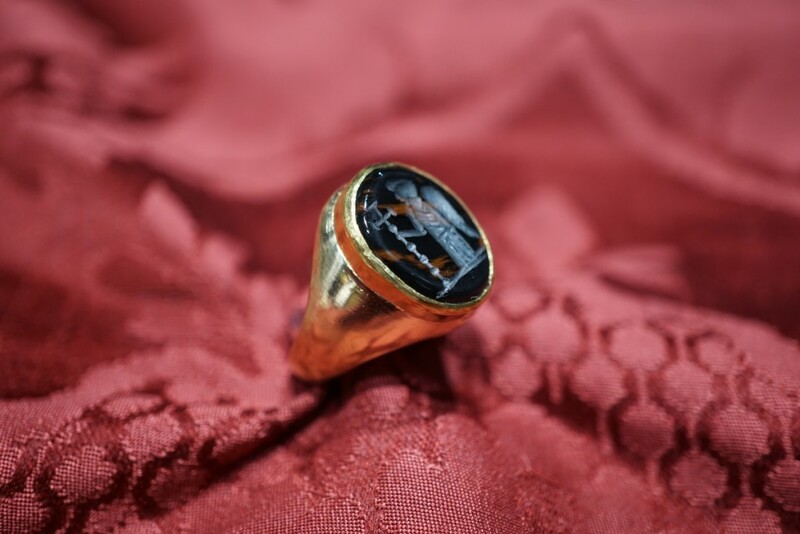 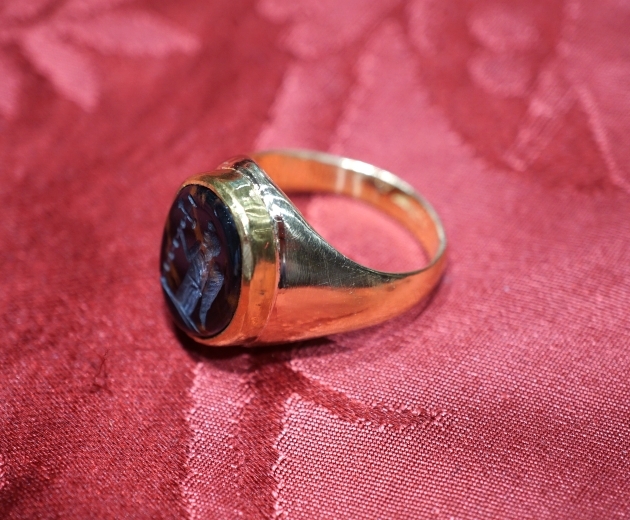 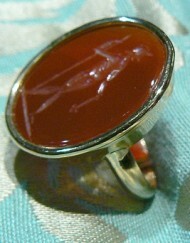 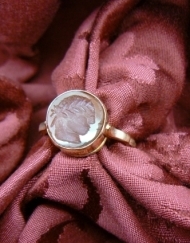 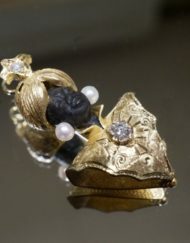 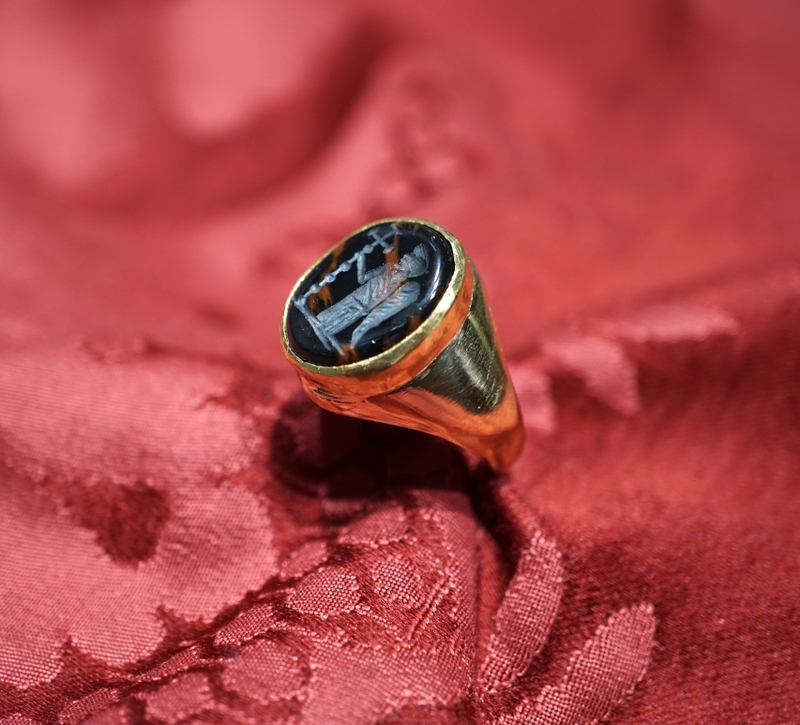 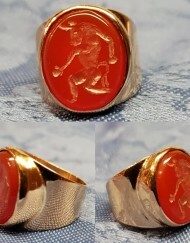 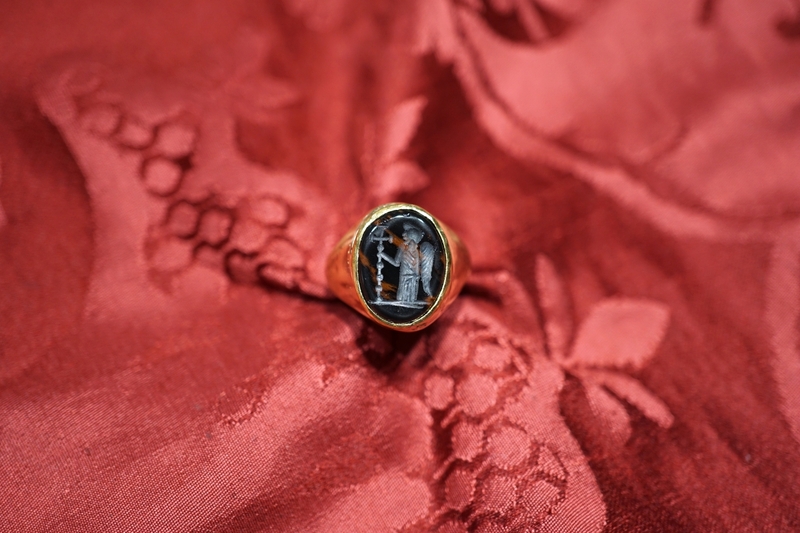 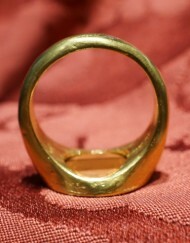 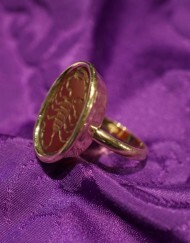 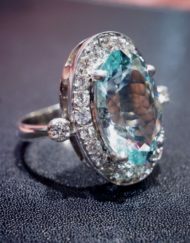 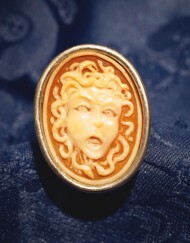 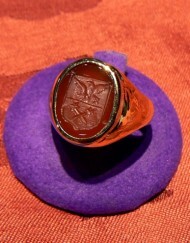 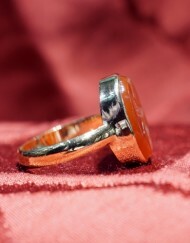 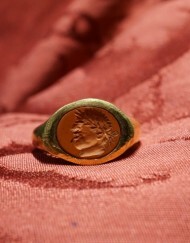 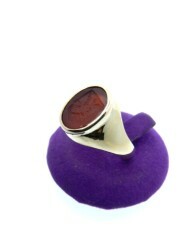 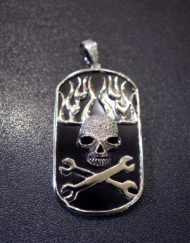 Tags: anello @en, angelo, chevalier, diaspro, incisioni, jasper, ring @en.